* Overall Dimensions: 13.4 x 10.2 x 2" (34 x 26 x5cm). * Holds canvas up to 11.8" (30cm). 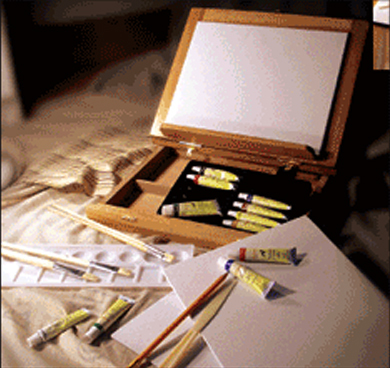 * Includes 3 canvas panels size 9" x 11"
* 1 HB pencil and 1 plastic palette knife.